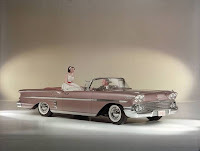 As was the custom back then, styling changed significantly for 1959 and 1960, but upon the retirement of styling chief Harley Earl, you were starting to see some simplification in the design. By 1961, Earl’s successor, Bill Mitchell, had really put his stamp on the entire GM lineup. 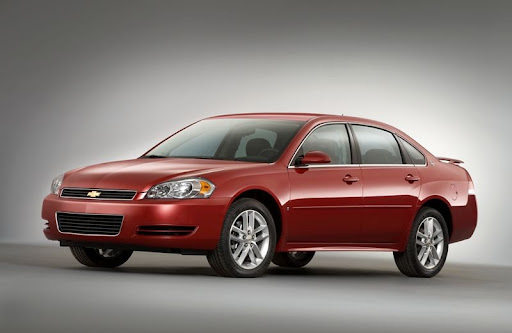 The Impala was now smaller, more streamlined, less luxurious, and sportier. ’61 was also the first year of the vaunted Impala “SS” model. SS stood for Super Sport, and everything from the floor-mounted gearshift to the bucket seats drove that point home. In fact, the SS badge continued to, and still continues to be seen on Chevrolet’s performance offerings. When equipped with the famous 409-c.i. V8, a ’61 SS was capable of quarter miles in the 15’s. Performance and popularity of the Impala SS grew throughout the 60’s (make mine a ’68 SS 427 coupe, please), but the SS disappeared after the ’69 model year. 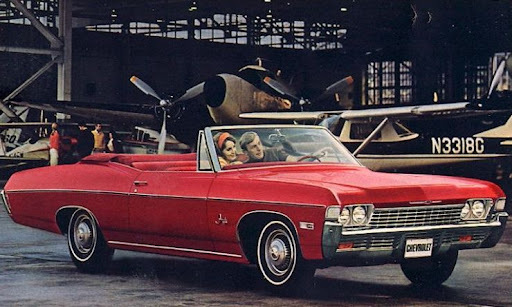 As the 70’s wore on, governmental regulations and gas shortages transformed the Impala to more of an affordable family car, while the up-level Caprice added a little luxury to the mix. The days of indulgent performance were gone. The entire line was drastically downsized in 1977, and in the next few years, the Caprice was the consumer’s choice. The Impala, which had been relegated mostly to fleet applications, finally faded away after 1985. In 1991, Chevrolet introduced a new rounder Caprice body-style, complete with floaty ride and “skirted” rear wheel wells. They were nice cars, but even the sportier LTZ option didn’t scream performance. That didn’t stop the hot-rodders, though, and soon Caprices were turning up with custom wheels and lowered suspensions. In 1993, Chevy radiused the Caprice’s rear wheel wells, a styling cue that drastically changed the bulbous looks the Caprice was known for. The was some definite hot rod potential hidden within that new B-Body platform. In 1992, GM designer and performance aficionado John Moss brought a factory customized Caprice to the Detroit Auto Show. It looked, well, just about like the Impala SS that went into production two years later, and reportedly had a "powerful Corvette engine". But at the time, it was just a concept meant to gauge public interest and the attention of the aftermarket. At least that's the way GM put it. It seems that the Impala SS really was slated for production, however, when the LT1 V8, formerly only available in Corvettes and Z-28 Camaros, found its way into the big sedans. This opened the door for the Impala SS, which featured special seats, lowered suspension, and fat rubber. The SS was only available in black that first year, but Dark Green-Grey Metallic and Dark Cherry Metallic were added for ’95 and ’96. There are a few other ways to tell the three years apart. '94s had a plug in the rear quarter window that housed the chrome Impala emblem. This was a somewhat hasty way designers converted the pointed side glass on the Caprice. The feature became so popular that the kink was built into the sheet metal of all Impalas and Caprices for '95 and '96. '94 was also the only year the Impala had the smaller, pod type side mirrors attached to the doors. After that, larger mirrors were fastened to the window area. And of course, 1996 was the first and only year for the floor-mounted gear selector and analog gauge cluster with tachometer. In '94 and '95, they used a digital speedometer taken straight from the police package, and the gear selector was mounted on the steering column. These features were a real sticking point with magazine reviewers during the first two years, but they only made it one year before the Impala was discontinued. ’96 was the last year for the rear-wheel-drive Impala SS, because the Arlington, TX plant that built the GM B- and D-Body lines was converted to truck and SUV production. 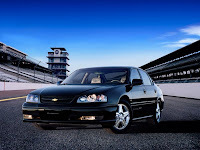 After 1996, the Impala name went on hiatus, while the Lumina filled Chevrolet’s full-sized needs. 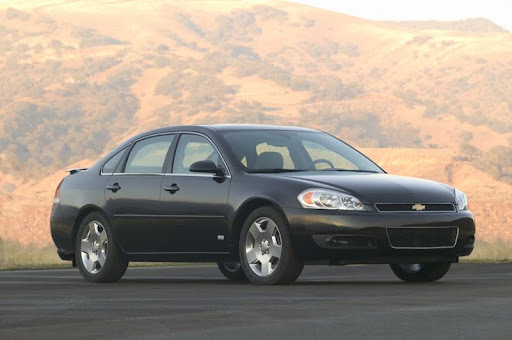 But in 2000, the Impala returned, this time as a front-wheel-drive sedan. 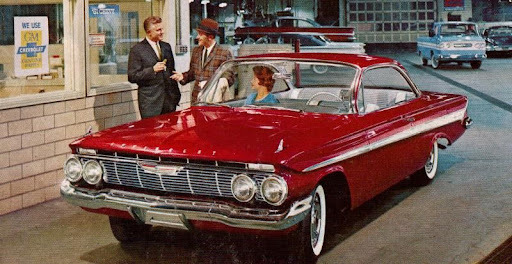 The newest Impala may not have appealed to enthusiasts, but sales skyrocketed, as the bread-and-butter consumer appreciated the Impala’s simple, reliable platform. 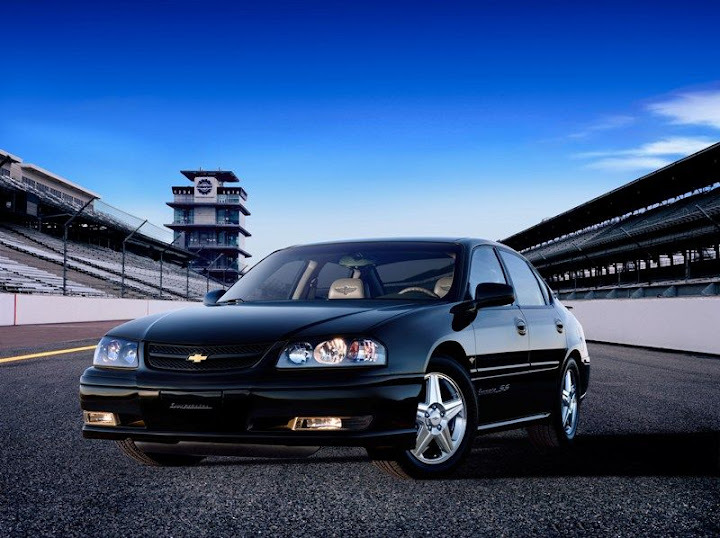 The Impala SS returned in 2004, this time equipped with a supercharged version of GM’s venerable 3800 V6. 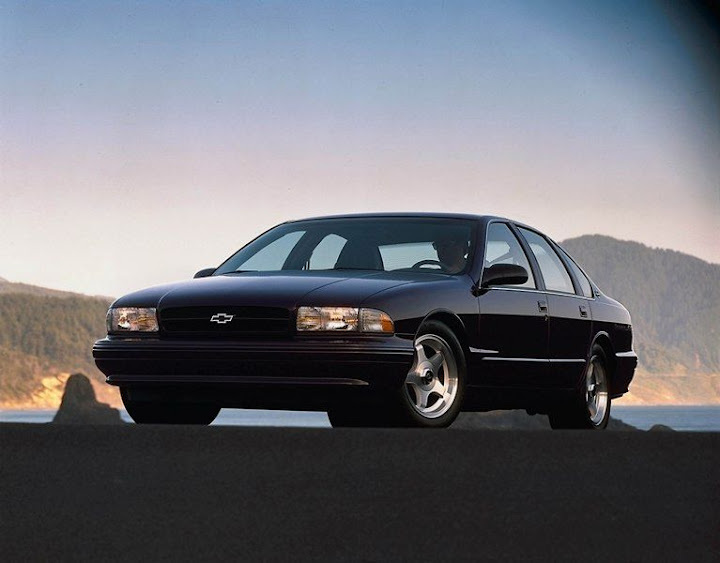 And some people might think I’m crazy, but I believe the LT1 V8 that came in the ’94-’96 Impalas, and the 3800 that was in many, many GM applications, are two of the best engines ever built. The current Impala went into production in 2006. Still based on the W-Body platform like the previous generation, Chevrolet went to great lengths to improve fit, finish, materials, and quality throughout the car. The latest Impala takes quite a bit of heat because of its bland appearance, but that doesn’t stop millions of people from buying them. They are a great value, and like the Accords and Camrys of the world, they aren’t so extroverted that people will be scared away. There was also an SS model during the current generation (now discontinued), that was equipped with a 5.3-liter, 303-hp V8. And if you ever have a chance to drive one of these, I recommend it. Let’s just say, the performance of this car will surprise you. What does the future hold for the Impala? Well, Chevrolet is currently bringing a rear-wheel-drive Caprice to market for police applications. This car is based on the discontinued Pontiac G8, and may be a jumping on point for the Impala after the current model runs its course. In the meantime, let’s take a look at Impala’s history. 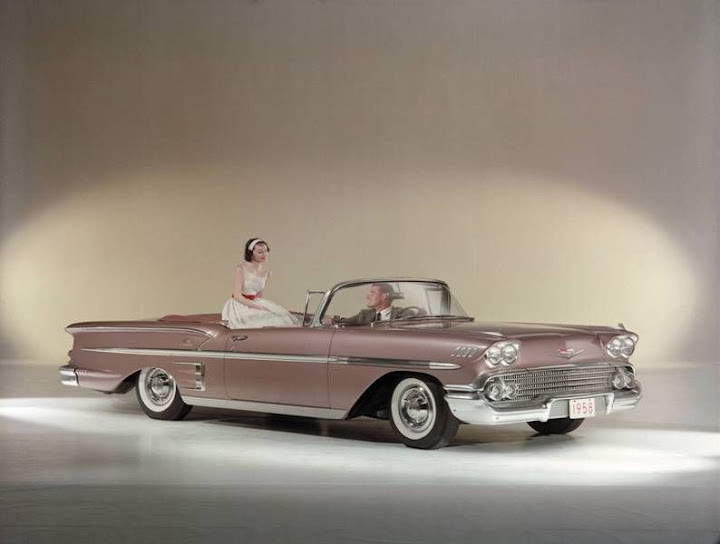 The slideshow below contains GM promotional images, advertisements, and brochures from every generation of the Impala throughout history. And don’t be surprised if you say, “I had one of those!” as you look through the pictures. Also, if you're curious about the year, click on the ballon in the bottom left corner to get the caption. This line is to me one of GM's best. Just looking at the slide show made me smile at all the wonderful Impalas I have seen at car shows over the years. Even those early 1980s models have grown on me--and of course the kids love those. My favorites are the early 1960s models. This from a Mopar person--but my 1964 Dodge Custom 880 would not look like it does if the Impala wasn't the success it was!